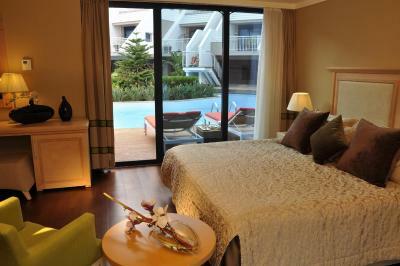 Lock in a great price for Susesi Luxury Resort – rated 8.9 by recent guests! The property itself was great; the rooms, the pools, the food, all was very good. And we had access to all sorts of food and drinks on the premises with various choices. The service as well was quick and prompt. Otherwise the location and the food, the activities, all the staff everywhere and the spa are all excellent. Over all ambience, lots of indoor/outdoor activity. Beautiful beach and nice activities for all ages. Everything​! The staff were always good (in particular, Kadir, Mehmet and Selim from the restaurant, Serkan from the bar, Sail from the reception and all the mini club staff. There was only one guy at the restaurant who was rude and apparently intentionally disregarded our order that I had to get up and grab it myself). Our luggage was lost by the airline and the hotel were very helpful in contacting the lost luggage office and assisting me in getting it back. The food at all the restaurants was plentiful and tasty. We loved the Italian one and enjoyed it the most, though its location was sort of secluded. The daily shows were of excellent standard. We especially enjoyed the lagoon-style swimming pool. We stayed at this hotel in July. We loved our stay. The staff, premise, location, pools, entertainment, everything was just wonderful. Marina and Tatyana at the reception were very helpful and friendly. We would especialy mention relentless efforts of Sait Kartal who was assisting with all and every issue with great patience and friendly attitude (Thank you, Sait). Hatija Hanim, the cleaning lady on our floor, was extremly attentive to every corner in our room and we enjoyed spotless cleannes during our stay. 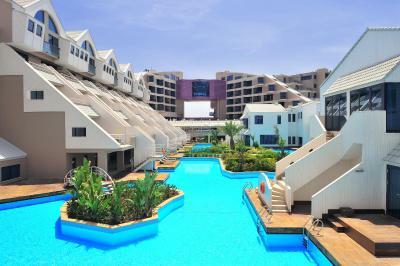 All in all, the resort is just a wonderful place to spend a great holiday with a family. Unfortunately the person work in hotel cant speak english . Excellent entertainment shows every night. Clean swimming pools. We really liked the hotel and had an amazing time there. Everything was on a quite high level. The Lake Suite is perfect for staying with kids: you have the acces to the pool (and btw this pool is not crowded - we often chilled out there almost alone!) Hotel territory is very clean, and the garden is soooo beautiful! Staff (mostly) is smiling and welcoming and helpful. Drinks and food was good too, with lots of fresh veggies, friuts, fish and meat dishes. Evening shows (both for children and adults) was interesting. My daughter liked the miniclub also. I would highly recommend Susesi for visit. Susesi Luxury Resort This rating is a reflection of how the property compares to the industry standard when it comes to price, facilities and services available. It's based on a self-evaluation by the property. Use this rating to help choose your stay! 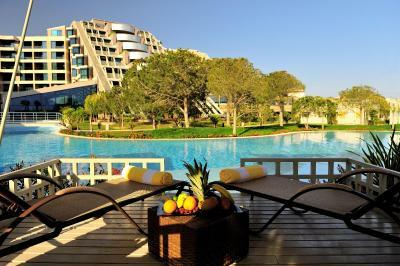 One of our top picks in Belek.The terraced buildings of this luxurious Belek resort are surrounded by expansive pools, tall palms and green garden. 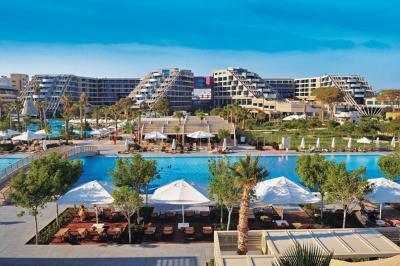 It features a sandy beach along the Mediterranean and a luxurious spa. 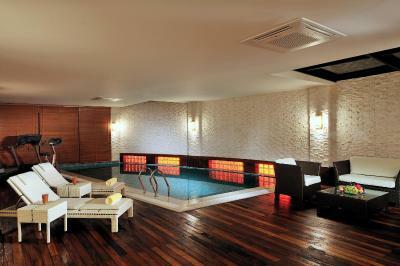 La Calisse Spa features 2 heated pools with glass ceilings, 2 marble hammams and state-of-the-art beauty treatments. Stone therapy, ayurveda and foam massages are performed by Susesi’s highly trained staff. 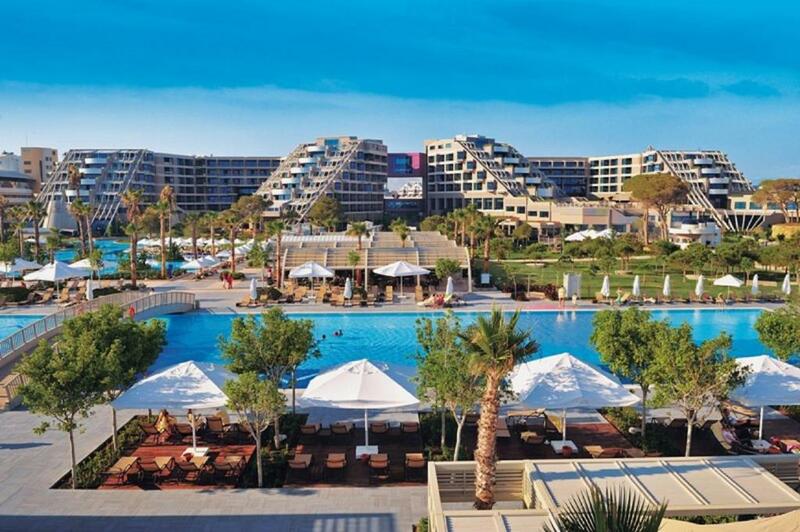 All spacious accommodations at Susesi Luxury Resort come equipped with flat-screen TVs. Some suites have a private terrace pool, a wind-protected balcony and a hydro-massage tub. 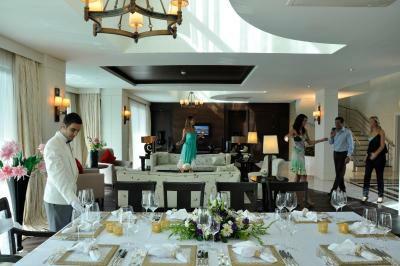 A variety of fine restaurants enables guests of Susesi Luxury Resort to choose for indoor or outdoor dining. Italian specialties can be tasted at the sit-down restaurant. A bowling hall, morning yoga and Turkish courses are some of the sports and animation activities available day and night. There is also a golf course and tennis courts. 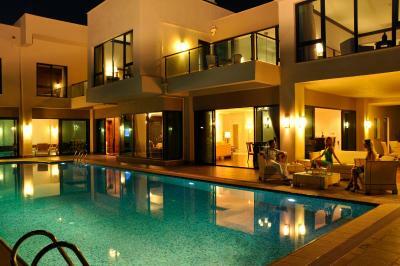 When would you like to stay at Susesi Luxury Resort? 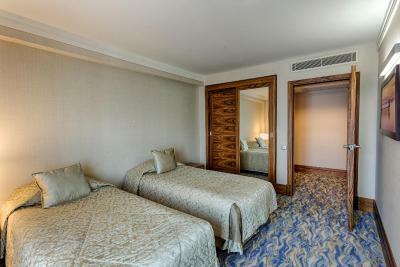 Located in the main building, these rooms offer views of the Mediterranean. 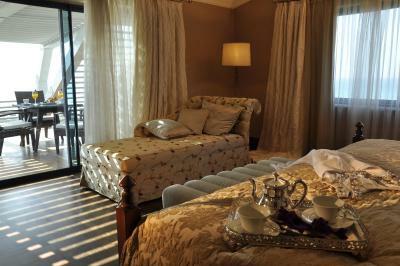 The Lake Suites offer a bathroom with spa bath, as well as a living room with dining area. The suites' large windows open onto the Lake swimming pool. Room service is free of charge. On the 1st and 2nd floors in the terrace houses section, this room provides direct access to the pool. Featuring a modern design, this 206-square-yard suite features a living room and 2 bedrooms including an LCD TV and a bathroom with a spa bath. 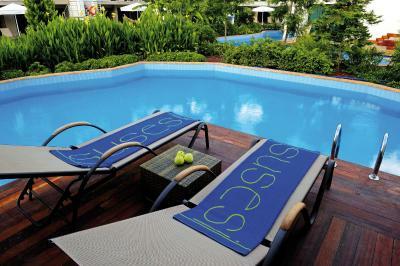 The spacious private terrace has an outdoor pool. Guests of this room can benefit from free two-way airport transfer service, a-la-carte restaurants, complimentary VIP drinks setup, laundry services, butler services and pavilions on the beach. 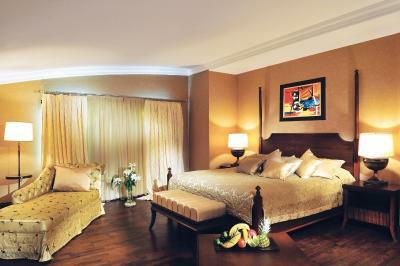 This room is located on the 4th floor and features a living room at the entrance floor and 3 bedrooms. 2 of the bedrooms are on the 2nd floor and one is on the 3rd floor. There is a bathroom, parallel telephone line and an LCD TV in each bedroom. 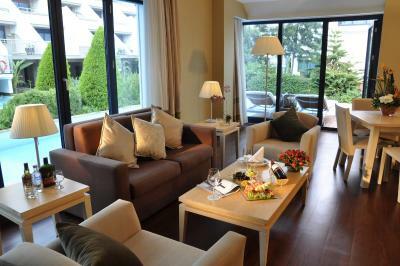 Guests can directly reach to the lake pool from this room. 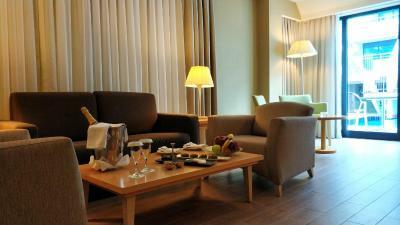 This suite is located in main building. With a modern touch, it has a bedroom and a living room. 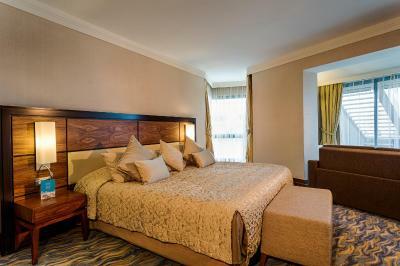 Both rooms feature a bathroom, parallel telephone line and an LCD TV. This 1378 ft² king suite is set on the top floor of the main building. It features parquet floors, two bedrooms, an expansive living room with an open-plan home bar and dining space as well as three mini-bars. There is a hot tub with a sea view in the bathroom. 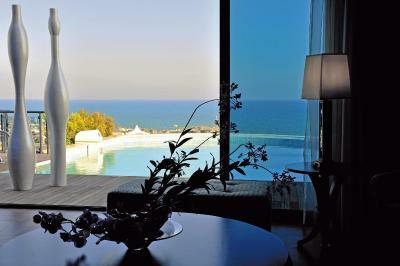 Guests can also enjoy 131 ft² swimming pool, sun beds and a 328 ft² terrace overlooking to Mediterranean Sea. Located within the resort and offering exquisite private gardens, swimming pools and utter tranquility, thee two-story VIP Villa is set on a 2461 ft² area. The ground level includes a spacious living room with a dining area, a kitchen, a bar, a home theater system and DVD, a butler room, and a 295 ft² outdoor pool with a depth of 55 in. A fitness area includes a treadmill and an exercise bike, as well as a sauna, a steam room and a 95 ft² heated indoor pool designed to maximize the relaxing effect of water. 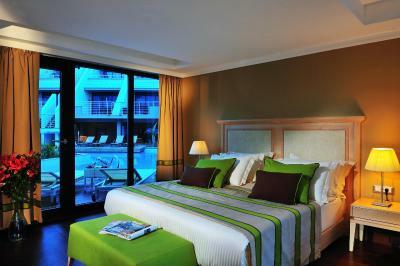 The second floor has four stylishly-designed bedrooms. The spacious master bedroom features an in-room hot tub and a separate dressing room. 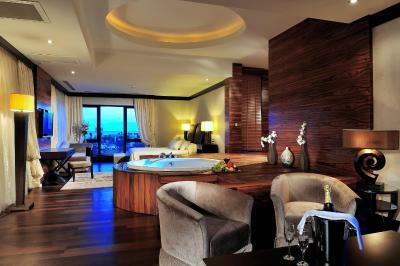 Each upper-level room includes an LED TV, a direct phone, a bathroom, WC and balcony. 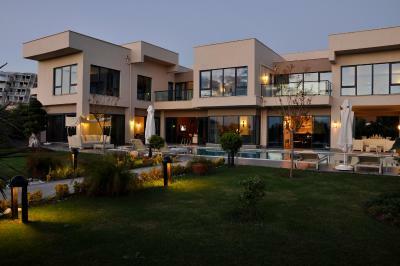 The heating and cooling system of our VIP villa is independent of the central system. 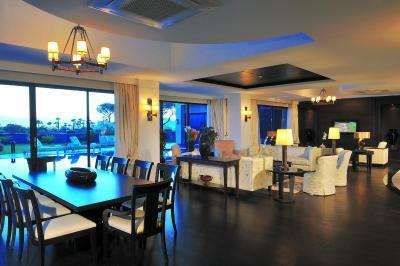 There are two VIP Villas in our hotel: The VIP Villa is just 328 feet from the sea. Please note that guests are required to present the certificate of marriage upon check-in. The certificates of marriage older than 1 year will not be accepted. Please note that the certificate is a must for reservation approval. 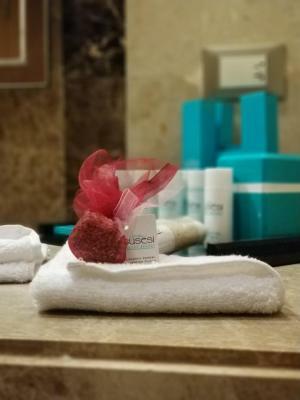 House Rules Susesi Luxury Resort takes special requests – add in the next step! Susesi Luxury Resort accepts these cards and reserves the right to temporarily hold an amount prior to arrival. Please note that the à la carte Italian, Meat, Far East and Fish restaurant needs reservation at a EUR 15 surcharge, whereas Turkish and Mexican restaurants are free to make reservation. Please note that children under 3 years old cannot join The New Year's Gala Dinner. Children older than 3 years old can join the kids' gala dinner in a separate area for free. It is subjected to an additional fee for children to join The New Year's Gala Dinner in the ballroom. 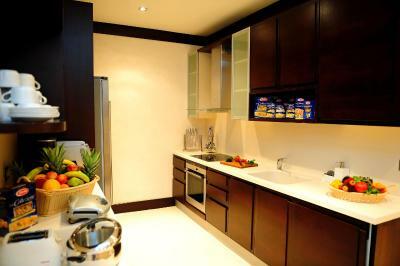 Guests are required to pay through the payment link by the property. If it is not paid through the link, the property reserves the right to define it as an invalid credit card. The royal suite may be a little pricey but when you factor in EVERYTHING is included with the room price, it does end up being better value for money. 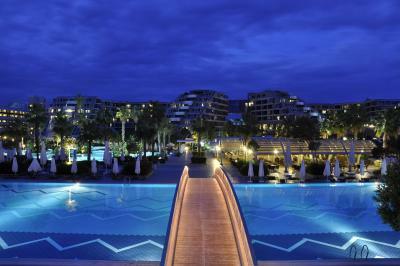 After being in belek for work and staying at another “5 star” for a week, arriving at the susesi was so welcoming. I’d had food poisoning at the other hotel so I wanted an early check in (if possible) and luckily they could, when I arrived the check in desk was helpful and friendly, and pointed out where the doctor could be found if I didn’t feel better. Which made me feel much better. 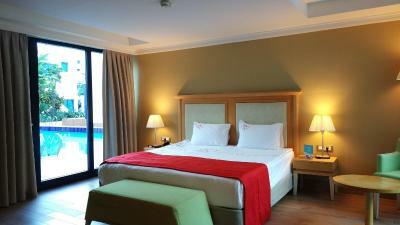 The facilities are all clean and well kept, the room always immaculate and huge!! The bathrooms were also spotless. I would highly recommend the spa... it is actually a luxury spa and is up there with the big spa hotels in Dubai. Easy access to the beach and a lot of pools to choose from! The food was amazing and a good mix of healthy choices, I’m just sorry I could eat more of it. I never usually stay in the same hotel twice, but I’ve decided to come back with my husband for a week or so later on next year. Can’t recommend this highly enough, it’s not often I’m surprised by a hotel. Not enough outside toilets. The entertainment was average with one outstanding act and one very poor. The kids club for over 8`s was non existent. The bowling alley is good but at 7 euros per person it is over priced for a family of 4 or 5. The welcome staff didn`t really explain everything and internet access is restricted by a password to the number of people in the room. When you have iPad, phone and computers it`s not enough. The layout of the property was good. The bars and entertainment areas where close together and centralized. 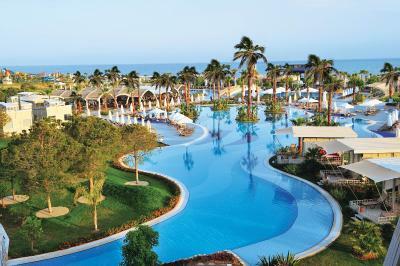 The pools were very large with lots of sunbeds available. Service in the restaurants was excellent. Variety of food was also good. The room was very large and functional. Minibar was reasonably stocked. The splash park is ideal for kids. Wifi worked even on the beach. The steak restaurant was excellent but the wines are a little overpriced. Everrrrrrrrrrrryyyyyyyyttttthhhhhinnnggg!!! It is heaven on earth! We were living our best life. Definitely coming back soon !! Upon arrival, we were asked to pay down in cash the whole amount before our stay and charged an extra $100 to the price on Booking.com. We didn’t object much because we had chosen to pay on the premises, and their excuse was the changing price of the Turkish Lira. Then, we were told they didn’t have 2 rooms on the same floor or in the same building- we had booked 2 deluxe rooms- and offered us a ‘free’ upgrade to a family room which we thought was great, though the location was far from the main building and the activities. Anyway, a day before we checked out, we were called to the reception and told that there was a problem with their accounting system and that we had to pay more money for our stay. Of course we objected, and the receptionist said he would discuss it with his manager. Upon check out, the manager refused to listen to our complains and we were made to pay an extra $400. The experience was so outrageous that I couldn’t bring myself to write about it earlier. It’s been almost a week since I returned. That’s why I can’t recommend the resort to anybody except if you want to be ripped- off. Staff barely speak English & tends to the taste of Russians while neglecting the needs of other nationalities. No late (6 pm) check out though we offered to pay for half a day. Lunch & dinner buffets are varied but lack taste. Wifi was cutting in the room, but next to beach signal was better. Spa is overpriced. Everything. Great location, beautiful garden and pools, huge variety of food, clean beach with shallow water. Very good for small kids. Entertainment is excellent, sport competition every day, kids disco and animators are the best. Hotel staff is hard working 24/7. All requests were done quickly. Special thanks for Ilhan who was really helpful. People like him makes you come back again.